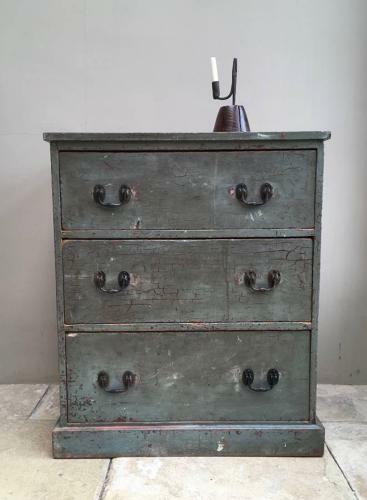 Late Victorian Pine Chest of Three Drawers in its Fantastic Original Paint. The paint is a lovely colour & the natural craquelure is just wonderful. Good solid pine chest. Handles have been replaced. No worm.